Today’s guest post is from my friend, Sandy Campbell. Sandy is an amazing Bible teacher and has such a powerful influence on those around her. I’m honored to serve alongside Sandy and so excited that she would share today with you my reader. It’s Spring, Yea!! 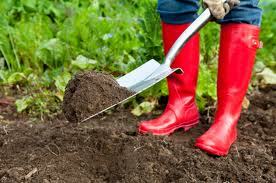 So here I am, out digging in the dirt. Doing all those preparation things that we need to do to have beautiful flowers all spring and summer. I find some of the left-over things that I should have attended to last fall — but ran out of time. So I’m pulling up weeds that I allowed to grow deeper and stronger. 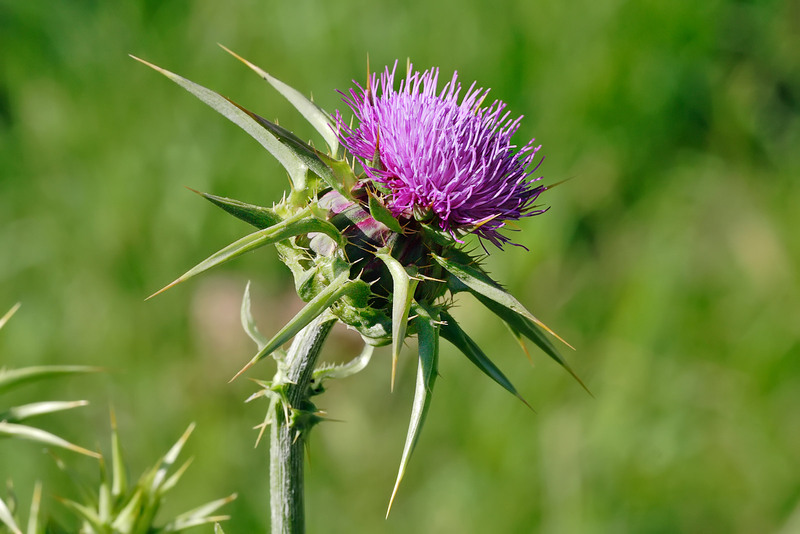 Some are what are known as Thistles. A thistle or two gone to seed can ruin a whole garden in no time.” How many times have we just given a passing tug at weeds in our lives? Leaving the roots to spread and take hold. Maybe we have ignored the weed entirely, allowing it to cast its seeds all around, affecting not only our garden but that of our neighbor. The root of Bitterness — that’s what I think of when I think of a thistle, because it is so hard to get rid of, if not taken care of the minute it comes up. And it can destroy everything beautiful around it, as it spreads and kills. Pain, guilt, disappointment, they are all seeds of growing bitterness. And we feed these seeds — “How could they have treated me that way? ?” We get on the phone — “Let me tell you what – – – – said to me” –More fertilizer !! The writer of Hebrews says “Keep a sharp eye out” — “See to it” — pull those weeds NOW!! Dear God, show me my weeds, and where they are so deep, dig and cut so that my life’s garden will show your beauty always. Question: What are the bitter roots in your life that need to be pulled? What consequences have you experienced by allowing those weeds to grow?